Sometimes an “overnight sensation” should properly be called an “overdecade sensation.” Welcome to the wonderful world of Pulp. Jarvis Cocker formed his first incarnation of Pulp as a teen in England in the late 70s. Members would come and members would go — talking of Michelangelo (what’s up, English Lit nerds?) — and every few years they recorded an album that maybe 50 people would buy. Cocker almost packed it in during the late 80s when he decided to hiatus the band and attend university with a concentration in Film Studies. However, despite many years of clashing with his indie label masters (and with public desire), our hero found the testicular fortitude to persevere. After finally generating a few on-the-edge-of-successful singles and some promising press, Pulp signed with a major label, Island, just as Britpop began to blossom in the UK. The band chose the right moment to hit their stride. In late 1994, they found themselves with one track so strong, they insisted on recording and releasing it before even writing the rest of their album. It began life on a little Casio keyboard. Cocker played the bare bones of a song he’d been working on to his bandmates, one of whom joked that it sounded like Emerson, Lake & Palmer’s “Fanfare For The Common Man.” It was not a compliment. Deciding he liked the word “common,” Cocker chose to build the lyrics around the word. This triggered a memory about a former university classmate, a posh bird who wanted to slum it with the working class down the East End of London. Next thing you know, pop history — sorted. 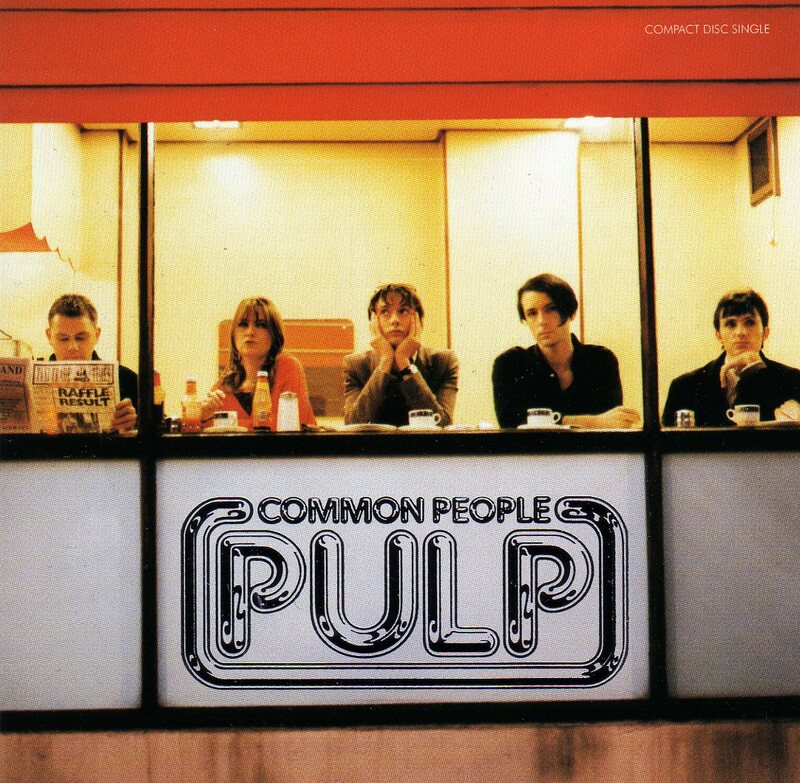 Upon its release in the spring of 1995, “Common People” shot up the UK charts and launched Pulp into the upper echelons of Britpop royalty. Unexpectedly, as if from nowhere, Jarvis Cocker and Co. created one of the defining songs of the era, an anthem for the Cool Brittania wave of the 90s. So get down and dirty with the rabble. Just a wee dabble. And take a walk on the common side. I always say to crank the volume, but I’m going to say it again for this one. Not only to hear the lyrics, but also because it’s going to rock your socks off by the end.